본 숙소(모레노 호텔 부에노스 아이레스)는 부에노스아이레스 관광 혹은 비즈니스 출장에도 훌륭한 선택입니다. 이 곳에서 생동감 넘치는 도시의 많은 것을 최대로 즐길 수 있습니다. 무세오 에스노그라피코 주안 B 암브로세티, Basilica y Convento de San Francisco, 무세오 드 라 시우다드 등에 가기도 편리합니다. 본 숙소(모레노 호텔 부에노스 아이레스)의 훌륭한 서비스와 우수한 시설이 잊을 수 없는 여행을 만들어 줍니다. 본 숙소는 매우 까다로운 투숙객도 만족시키는 다수의 숙소 내 시설을 제공합니다. 완전한 편안함과 따뜻함이 어우러진 분위기가 물씬 풍기는 총 37개의 객실이 있습니다. 본 숙소에서 마사지 등과 같은 멋진 여가 시설/활동을 즐길 수 있어 잊을 수 없는 추억을 만들 수 있습니다. 본 숙소(모레노 호텔 부에노스 아이레스)는 부에노스아이레스행 여행객의 스마트한 선택이 될 수 있습니다. 바쁜 일상을 벗어나 매순간이 편안한 휴식이 될 것입니다. We stayed at the Moreno for a few days and had the bigger room (J Room) with the jacuzzi in the main room which was amazing after a long day spent at the airport. Pros - the rooms, the cool lift and the staff. Service was impeccable, staff was incredibly helpful, rooms were very tidy. we arrived late at night and the staff was incredibly helpful in getting us to our room. whatever information we needed during our stay, the staff accomodated our request. the free continental breakfast was sufficient, but breakfast service was lacking. the location is great, with just a few minutes walk or cab ride to most sights in the city. overall, a great stay. The hotel is beautiful. Very modern. The rooms are enormous and spotlessly clean! Location is good for central sightseeing and access to several Subte lines. Location is not good for restaurants and bars. Not many within easy walking distance. Seems a bit dangerous to the south. Would have liked to have stayed there two additional nights, but they did not have availabilty. We loved the building which was mostly historically intact. I loved the Art Deco tile lobby and the contrast of the huge,modern,very comfortable rooms. Beds are consistently comfortable(Simmon's Beauty rest ,pillow top,the best). Rooms were found to be very clean and maintained that way.The wire cage elevator is most charming central feature. Hotel staff is discreet,and helpful. San Telmo barrio is my favorite neighborhood. Hotel proximity to Defensa street Sunday street market and Plaza De Mayo subway,taxi venues a big plus for this hotel.There are many restrurants near by with in walking distance.Street was patroled by police at night. We felt safe at this Hotel and area. Need one more computer monitor in reception lobby for hotel guests.Trash cans for under bathroom sink(not just in bathroom toilet which is seperate). Fantastic rooms in a lovely building, attentive helpful staff. Some of the facilities not available, such as gym and hot tub. Noisy plumbing. 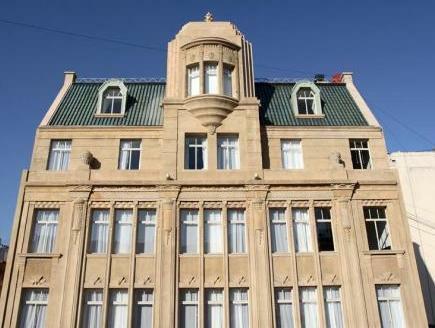 A great building in one of my favourite parts of Buenos Aires, fantastic big rooms with modern décor and fittings. Helpful attentive staff and nice touches like the stock your own mini bar. great value for money, excellent location, my room was very large and well appointed, beautiful architecture, amazing old lifts, polite and helpful staff with perfect english. on a narrow street so it is difficult to park outside. this hotel is excellent value for money. my room was very large and very well appointed. everything worked well. the service is also excellent and the staff are very helpful and speak good english. 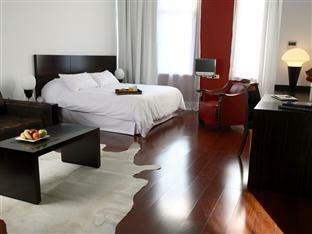 the location in san telmo is easy walking distance of the great restaurants and bars of the area. overall, i would highly recommend this hotel. Notre premiere chambre au 2 eme etage ( côté cour ) etait belle mais bruyante à cause des climatisations exterieures. Le revêtement de La baignoire très abîmé. Nous avons demandé à changer ce qui a été fait sans problème et avec efficacité. Nouvelle chambre parfaite au 6 eme étage. Il faut absolument éviter les chambres des premiers etages côté cour si on a le sommeil sensible. Mais l'hotel dans son ensemble a du charme. Vaut le coup. Il faudrait cependant un petit coup de neuf dans les salles de bains. Le personnel, bilingue, est très agréable et efficace. Petit dejeuner simple et correcte. Leider gab es im Hotel nur die Möglichkeit zum Frühstück, das auf der Hoteleigene Internetseite gelobte Restaurant war nicht geöffnet. Die eher unauffällige Fassade des Hotels verrät nicht, dass sich darin sehr grosszügig bemessene und äußerst geschmackvoll gestaltete Zimmer befinden. Auf dem Dach des Gebäudes befindet sich eine Terasse, von der aus man einen atemberaubenden Blick geniessen kann. Das Hotelpersonal war sehr freundlich und sprach ein ausgezeichnetes Englisch, was in Südamerika nicht immer der Fall ist. Es war das beste Hotel, das ich in Südamerika Besucht habe. La entrada es poco atractiva. El check in es muy tarde, pero la atencion del personal y la amplitud de la habitacion fue sorprendente. Buenas recondaciones a los pasajeros. por destacar esta juan pablo en recepcion, el recepcionista que se quisiera tener en todo hotel. el hotel es increible se junta al arte la historia y el confot.